Magnificent Monday Manis - Christmas trees! I apologize that my "ornaments" kind of sunk into the tree. 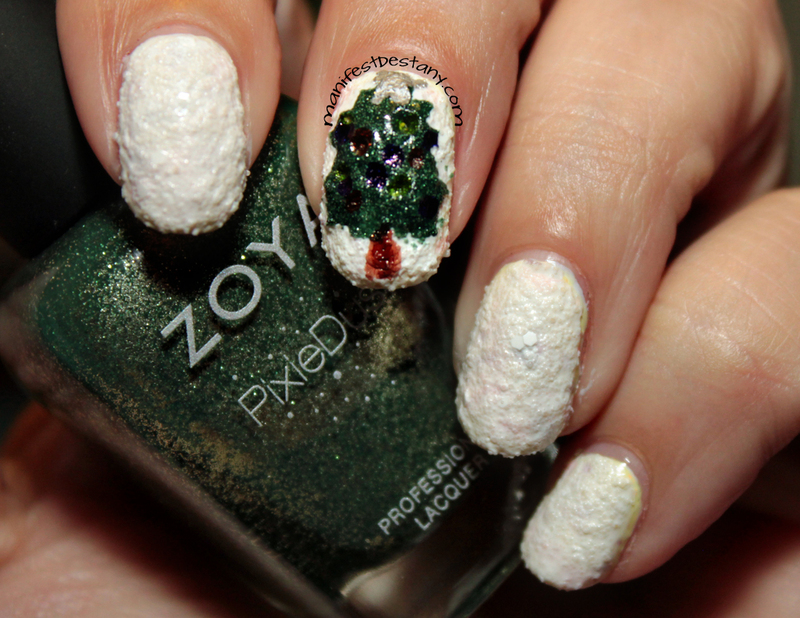 The tree itself is fashioned out of Zoya Chita, which was sent to me for review. The "snow" is There's Snow One Like You from China Glaze, which was also sent for review. The tree trunk and ornaments were made with various colors.